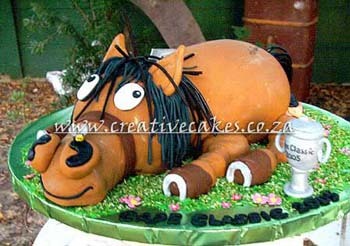 This giant 3D Horse Cake was created, donated and raffled at the cape classic 2005 Horse Ridding show which was held in Cape Town . This 3D Horse was in fact of Thelwell the mascot of the Horse Ridding fraternity. Have you ever wondered why foals all seem to be born around the same time? Everyone knows that baby horses are called foals. 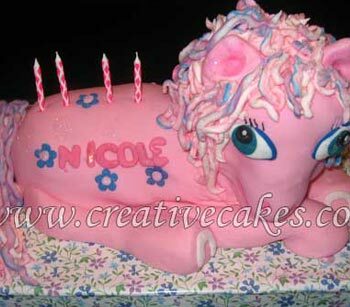 Boy foals are called colts, while girl foals are called fillies. 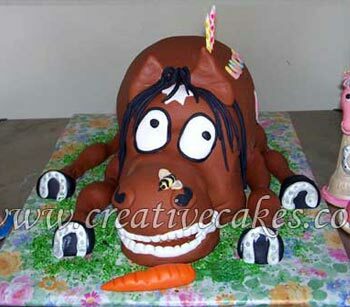 Young horses are called colts and fillies up until the age of 3.Yearlings are colts or fillies that are a year old. When a horse is born, its legs are almost their full adult length! - giving them that extremely cute "long-legged look" we all love so much.